In Frank Capra’s classic movie Mr Smith Goes to Washington (1939) a regular guy enters politics and is horrified by the corruption he witnesses. At his lowest ebb he considers quitting but finds new strength at the Lincoln Monument. Capra backlights Lincoln’s statue making it look God-like, a mythical figure. 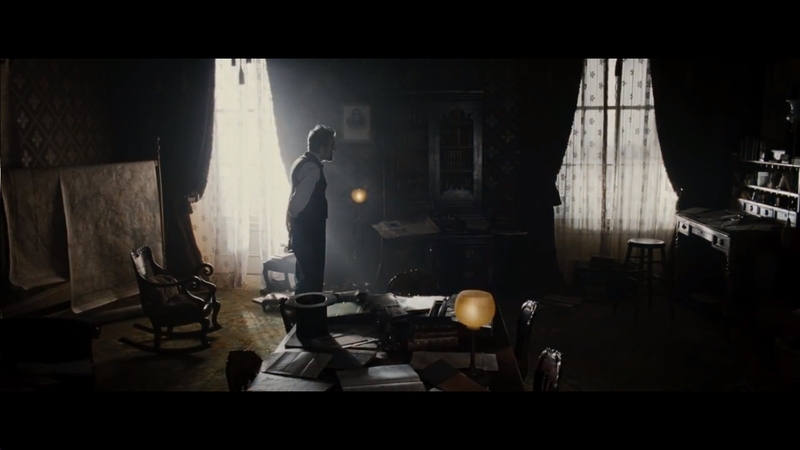 Interesting then to see Steven Spielberg’s biopic which presents Lincolnin an earthier fashion. A man who argues with his wife, tells jokes in company, and is more than capable of dealing with the complexities of political life. Tony Kushner’s screenplay begins in 1865 amongst the blood and chaos of the Civil War then follows Lincoln’s attempts over the next year to win the twenty votes he needs to force through the Thirteenth Amendment banning slavery. Kushner previously collaborated with Spielberg on another historically based movie Munich (2005) about the Israeli hit squad seeking reprisals for the eleven murdered athletes at the 1972 Olympics. He is best known in the USfor his Pulitzer winning play Angels in America set at the height of the AIDS epidemic and his writing has a grittiness which counterpoints Spielberg’s tendency towards grand spectacle. Though epic in scale and length Lincoln takes place mostly indoors and concerns itself more with the backroom deals, political machinations, the compromises needed and sometimes cast aside for progress to be made. At the heart of the film is a towering performance from Daniel Day-Lewis, suggesting both the charisma of Lincolnand the greatness in the man which still makes him the most revered of all American Presidents.